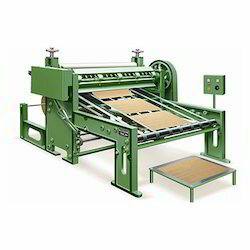 We are the leading manufacturer and supplier of Heavy Duty Automatic Cutting Machine for Corrugation. The sharp edges of the cutting roller cuts the dough sheet into the desired shape of the biscuits and delivers the same to the oven through a web. Price of the products vary depending upon the specification of the machine. Looking for Paper Reel to Sheet Cutting Machine ?